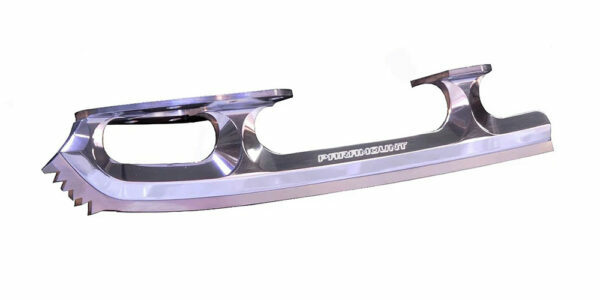 420SS 17″ (Like Phantom Profile) – Skates U.S.
Sizes: 8 1/4″ through 11 1/2″ in 1/4″ increments. 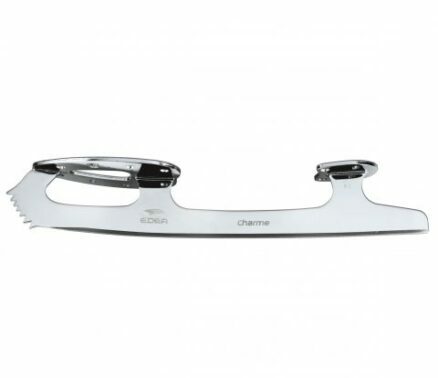 The Paramount 420SS 17″ is the Top Level Free Skating Blade and is available from SkatesUS.com . The 420SS 17″ Blade is designed for those working on Doubles, Triples and Quads, and testing or Competing at the Novice, Junior, or Senior Levels in FreeStyle. The 420SS 17″ Blade utilizes a Lightweight Aircraft Aluminum Holder with a Very High Quality (8 Element) 420C Stainless Steel Runner. Paramount Blade’s Hollow and Profile is CNC Machined to much higher standards of accuracy, with tighter Blade tolerances than is possible when making and grinding blades by hand. Paramount Blades are Lighter by up to 50% and Stronger due to the Unique Triangular Shaped Frame which increases both Strength and Stiffness and allows skaters using these Blades to have Higher and Longer Jumps. Most other Blades are still made from Carbon Steel (a 16th Century Technology), then brazed together as separate pieces. The High Grade Blade Runner is Stronger and Lighter than Carbon Steel which dramatically increases the life of the Blade and Holds an Edge much longer between Sharpenings. Combining these Paramount 420SS 17″ Blades with the incredible Lightweight EDEA Skates can reduce the weight of a pair of Skates up to 5 lbs. This level of weight reduction will help your performance. When Ordering, please be sure to specify the Color desired and the Size of the Blade. See the Learning Center for information. This information can be put into the Notes Area of the Check Out process.